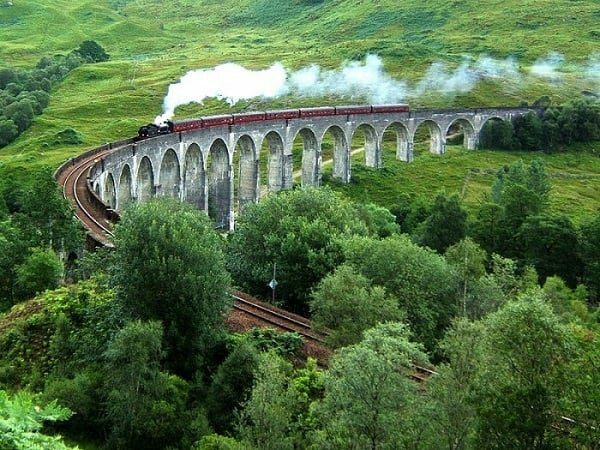 Image source: Glenfinnan Viaduct – aka “The Harry Potter Bridge” source Wikipedia – an apt analogy bridging the known to the unknown! Hence, a simplified approach is needed to learn the mathematics behind Data Science and Artificial Intelligence. The idea I am working with is: How can we bridge the gap between maths needed for AI and Machine learning with that taught in high schools (up to ages 17/18)? So, the question then is: How can we start with high school maths and use that knowledge to bridge the gap with maths for AI and Machine Learning? I am fascinated with the approach of using maths to bridge this gap. Knowledge of maths is universal. It means, we could truly inspire someone with minimal resources to take up Data Science as a profession. I plan to release a concise free eBook using this approach on KDnuggets. If you are interested in this eBook, please comment below (or any feedback in general re the approach). Connect with me (Ajit Jaokar) to learn about how we are using new strategies to accelerate learning of AI maths and coding. I am especially thankful to Sebastian Raschka for his comments and feedback to my work. The views in this post are my own. 4) We then consider the ways of finding the best solution using techniques like closed-form and optimization leading to the idea of gradient descent (introducing the concept of defining a loss and minimizing it iteratively). Some problems can be solved easily using math (i.e., the closed form solution). but at some point, the math isn't sufficient, and we need to optimize iteratively. If we extend this approach to cover a range of functions, we understand neural networks as universal function approximators. I Welcome your comments. I plan to release a concise free eBook using this approach on KDnuggets. If you are interested in this eBook, please comment below (or any feedback in general re the approach). Connect with me (Ajit Jaokar) to learn about how we are using new strategies to accelerate learning of AI maths and coding.